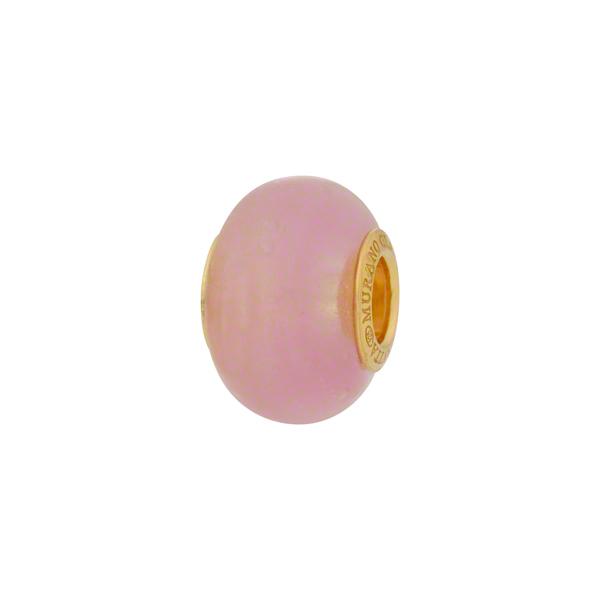 PERLAVITA Large hole bead with Vermeil, Gold Plate over Sterling Silver Insert. Great shape approximately 15mm round and 10mm wide hole to hole. The hole inside these is approximately 4.5mm and fits our PERLAVITA Bracelet. This is our opalino series using the famous Murano opalino glass.